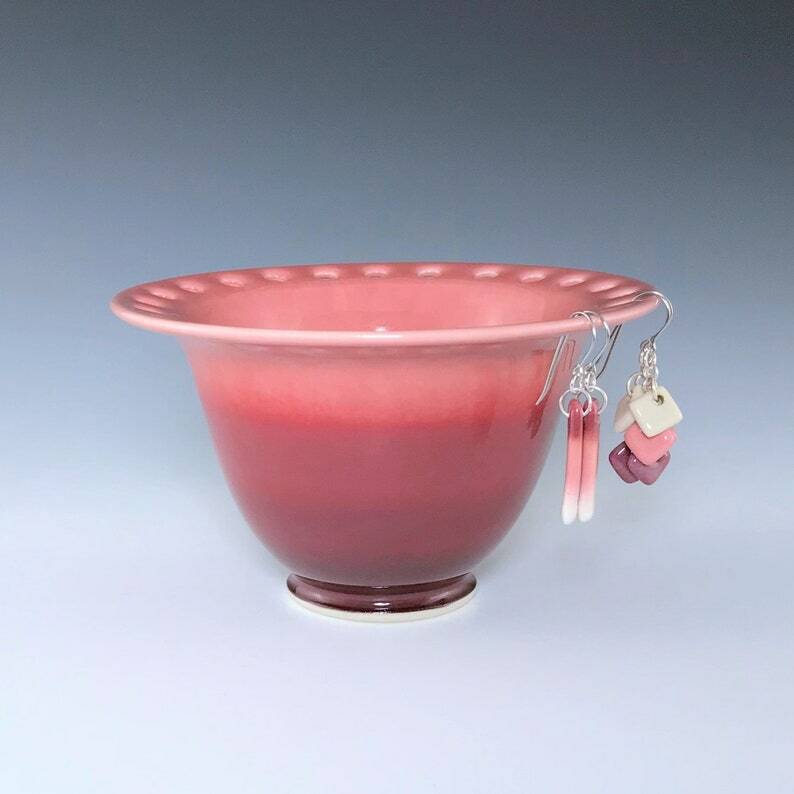 Porcelain earring bowl with a red, cranberry and burgandy ombré pattern. Twenty-four pairs of earrings can be hung around the rim, with studs and other jewelry stored in the bowl. This listing is for one earring bowl. 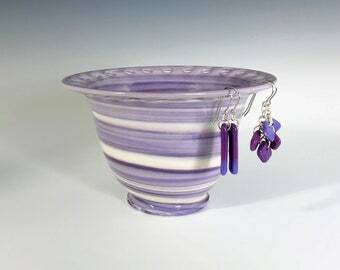 The handmade porcelain earrings other bowls pictured and are listed separately, if available. 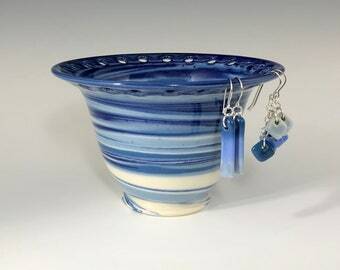 Size: Height 3", Diameter 5"
Each ceramic earring holder is handmade individually and there may be slight variations in size and glaze patterning. 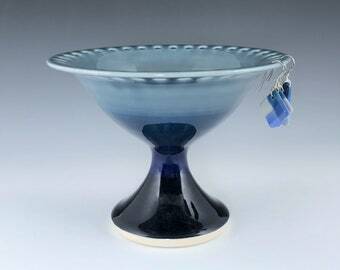 I made this earring bowl on a potter's wheel using high-quality porcelain. The ombré pattern is hand painted using underglazes. I mix my glazes from scratch using only non-leaded ingredients. This bowl is food, microwave and dishwasher safe.